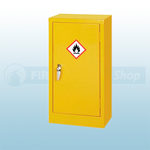 Available from the Fire Protection Shop are a range of Small Hazardous Substance Cabinets that are a metal storage cabinet ideal for safely storing and segregating chemicals, paints, flammable and hazardous substances that are defined by COSHH guidelines. 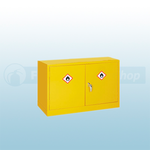 The cabinets are suitable for schools, laboratories and where low volume storage is required. 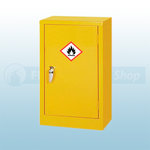 The cabinets feature perforated shelves which enables split liquids to run off into the welded, leak proof base sump. 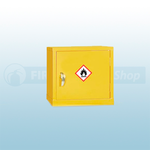 The shelves can be adjusted every 25mm to accommodate storage of different sized containers.